How Can You Move Past The Yips? Although the yips are most commonly associated with golf putting or chipping, the problem is now becoming more known across the sporting world. 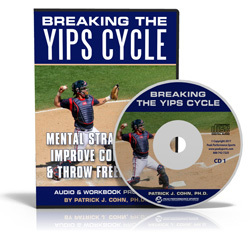 Currently, the yips have come to media attention that baseball pitchers are suffering from the throwing yips as well. Pitchers are faced with a tremendous amount of pressure, particularly when they try to pick off runners at first base. When a pitcher notices a runner taking a large lead off of first, he will try to pick him off at first base. Intending to complete the throw with both speed and accuracy, the pitcher often loses control of the ball, throwing it wildly away from the target. In these cases, players are often hesitant to admit that they are suffering from the yips as they see this as a sign of showing mental weakness. In the case of the Chicago Cubs’ Jon Lester, he and his organization have repeatedly denied the player is suffering from the yips. “When you’re not used to doing stuff like that, I got a little overexcited and threw the ball too soon,” said Lester, downplaying the issue. What he did not mention is that he has only had two successful pick-off attempts since April 2013. The issue has been consistently detrimental to his performance, yet the fear of admitting an anxiety related issue keeps him from improving. For many athletes, denying that the performance issue stems from their mindset bars them from making any progress in overcoming the problem. This is clear in the case of Steve Sax, a former Dodgers second basemen who suffered from a well-known case of the yips. Sax was able to overcome the yips after finally admitting that what he was facing was truly a confidence issue that can be overcome. “I think once your confidence is restored, you regain the ability,” Sax said. 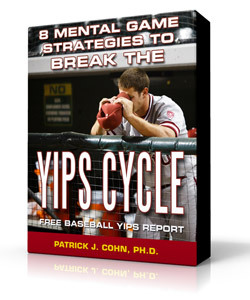 The yips, then, are not a permanent issue but an issue that can be resolved with the right mental approach. 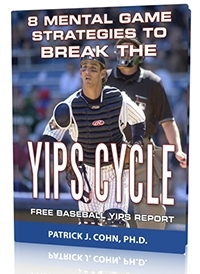 For athletes suffering from the yips, the first step to breaking the yips cycle is realizing that the confidence can return. After realizing this, athletes can follow a few steps to regain confidence and overcome the yips. Remember that the pressure you are facing is internal. Only you can control your thoughts. Increase confidence through recalling positive outings and throwing with control. Focus all you attention in the present moment during the game. Do not allow external stressors to enter your mind during game time. 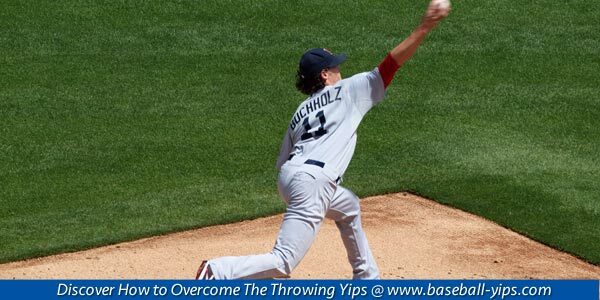 Learn how to over come the throwing yips in baseball!